Mr. Bayer is a columnist for the rightwing daily Magyar Hírlap. 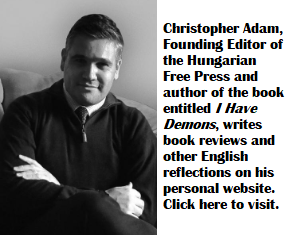 Some of his pieces compare the Roma people to “animals” and he often peppers his writing with distasteful anti-Semitic remarks. In the past Hungary’s media regulator fined Magyar Hírlap for publishing Bayer’s anti-Roma comments. According to the government’s official gazette (Magyar Közlöny) Bayer’s award was given for his “exemplary journalistic activity.” After the announcement 70 recipients of state awards have decided to return theirs in protest. Government officials have indicated that there are no plans to withdraw Bayer’s award. Quentin Tarantino was knighted by the Hungarian government in 2011 for producing a fascinating documentary entitled Freedom’s Fury. Filmmakers Megan Raney-Aarons and her brother Colin Gray were also knighted by Hungary. 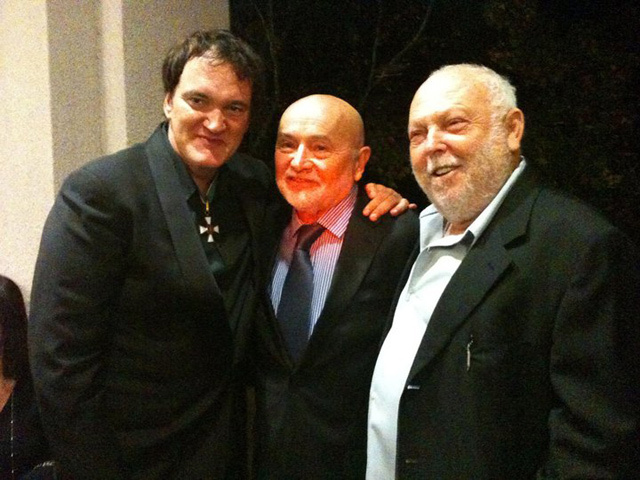 Quentin Tarantino, Béla Bunyik, Founder of the Hungarian Film Festival in California and Andy Vajna, Film Commissioner of the Hungarian Government. In 2014 Professor Mihály Csikszentmihályi of Claremont Graduate University received the Grand Cross of the Order of Merit of the Republic of Hungary. Rabbi Arthur Schneier, Senior Rabbi of New York City’s Park East Synagogue received the Cross with the Star of the Order of Merit. 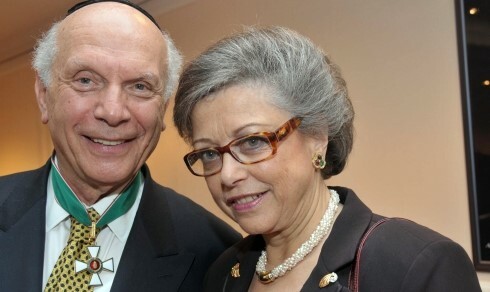 Rabbi Schneier wearing his Hungarian Cross with the Star of the Order of Merit and his wife. Rabbi Schneier, Professor Csikszentmihályi, Mr. Tarantino: it is time for you to return your awards. More than seventy prominent Hungarians have already declared that they do not want to be in the same “group of people” as Mr. Bayer. 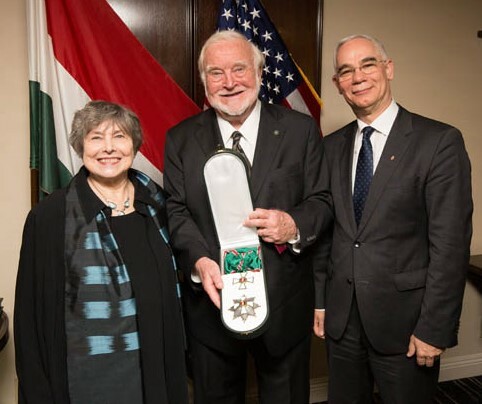 Professor Csikszentmihályi (middle) with his wife receiving the Grand Cross of the Order of Merit from Mr. Zoltán Balog, Hungary’s Minister of Human Resources. I don’t think that you want to be in his company either. I don’t know whether BZS got the award specifically for being foul-mouthed (I doubt) or for his long time journalistic activity despite of being foul-mouthed, but I don’t think that many others who deserved the same award had to return their own one. They deserved that award and if so many of them don’t want to share with one single person why don’t they protest in another way and initiate the withdrawal of it from BZS? Anyhow, I don’t have to understand everything but I probably would have done the latter. Richard: There is a campaign going on to get the President of Hungary to withdraw the prize from Zsolt Bayer but the likelihood of that happening is more than slim, thus former recipients of the award started to return their rewards in protest. So far, over 70 people felt they cannot be associated with a person like Zsolt Bayer in any manner, regardless of their own merits for receiving the same distiction. I see, I thought the returning of the awards was the actual and only protest. My wrong. Thanks for your reply. It is a syndrom of the ruling system. Grossly overstepping moral standards, describing the state of Hugary today. It is not even about Bayer. Yesterday I read an article, where all the recipients divided into 6 groups. Many would not return it, because they received for scientific merits and they say it has nothing to do with a hatemonger, foul-mouthed, racist, mediocre political publicist. Other say they received it almost 20 years ago, when it carried a different meaning. – demonstratively is cuddled and promoted by the Orban regime and now has been decorated. …. whereas those Gypsies who lynched Lajos Szögi in front of his daughters (which act had prompted Bayer to describe THESE and similar Gypsies as animals – righfully so) deserve the praise of left-liberal do-gooder idiots such as this moron who tries to be someone by calling on a Hollywood celebrity to further his political agenda. Pathetic. The Olaszliszka murder of Mr Szogi was a horrible act, but to call the perpetrators animals is to fuel the pervasive racism that has been keeping these the Roma people in poverty and desperation, segregating their children in school, and intimidating them in their villages as Magyar Garda did. Liladiadal, go out to see Szilad Brbely’s drama “Olaszliszka” to adopt a more humane perspective on it. Get the fucken Nobel peace prize fom Begin, the terrorist. What, if not animals, is the proper description of such individuals who lynch an innocent man in forntr of his daughters?